Chocolate Labrador retrievers are now considered by many to be the perfect family pet. And its not hard to see why. Lovable and excitable by nature the Lab is highly dependable, extremely obedient and of course gifted with a multitude of ‘doggy’ talents. Chocolate Labrador retrievers are statistically one of the most popular dog breeds in the world with a huge proportion of dog owners having a lab at home. Its friendly, placid, bright, and bouncy good nature makes it a wonderfully delightful companion as well as being perfectly suited for other tasks outside the home such as police work. Labs are also extensively used as assistance dogs for the blind and also the physically handicapped. They also excel in therapy work. Labs are tremendous swimmers and fittingly have an otter-like tail. Their coat is grown in an interweave pattern, making them ideally suited to spending time in the water. 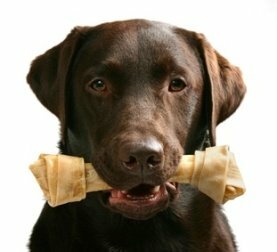 And, as their name suggests, Labradors are excellent retrievers and one of their surprisingly pleasant attributes is the fact that they have extremely ‘soft mouths.’ Apparently, a Lab is able to carry an egg in its mouth without breaking it though I have to say if my Labs got an egg in their mouth they would simply eat it. They have capricious appetites! 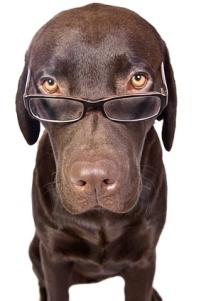 In general Labs are not markedly prone to having some of the negative traits found in some breeds. These include but are not limited to being hypersensitive, aggressive, insecure, pining nor territorial. Chocolate Labrador retrievers are especially wonderful with children because the Lab has an intense desire to not only please, but its desire to play is almost equal with its desire to eat! Children can spend hours playing catch with a ball, or a Frisbee, and the dog will appear to be tireless. They seem to literally thrive on human interaction, affection and attention. Labs, as a breed, are exceedingly intelligent making them highly trainable though it is certainly true that they have great independence and can be quite stubborn in their behaviour. Chocolate Labrador retrievers are also immensely inquisitive, investigative and dearly love company, and they will follow both people and interesting scents for attention, food, and sometimes just because they want to! Because of these attributes, they sometimes can be easily go missing or be lured away from their owner. Because of this it is highly recommended that Labs be micro chipped as well as having the name, address and phone number of their owner on their collar. Labs are basically a healthy breed, though they are highly prone to becoming overweight as they have a tremendous talent for begging or finding food. But, like all dog breeds, Labs are susceptible to certain conditions and they can be prone to hip dysplasia, osteoarthritis and other joint problems as well as suffering from diabetes. But, those minor health concerns aside, it has to be said that, for many of us, this type of lab are as close as you can come to having the perfect family pet!